Mirror Finish is the final step of the buffing process. Use Mirror Finish to remove any swirls marks or light (2000 grit) scratches left behind and leave behind a high-caliber shine that surpasses anything before it. Before applying Mirror Finish, make sure the vehicles surface is dry, cool, and clean. Then apply four quarter sized drops to your foam or wool buffing pad and polish with a low speed and even pressure. After evenly applying, allow to haze, then remove for a Mirror Finish! No silicone is in this product - it is Body Shop safe. 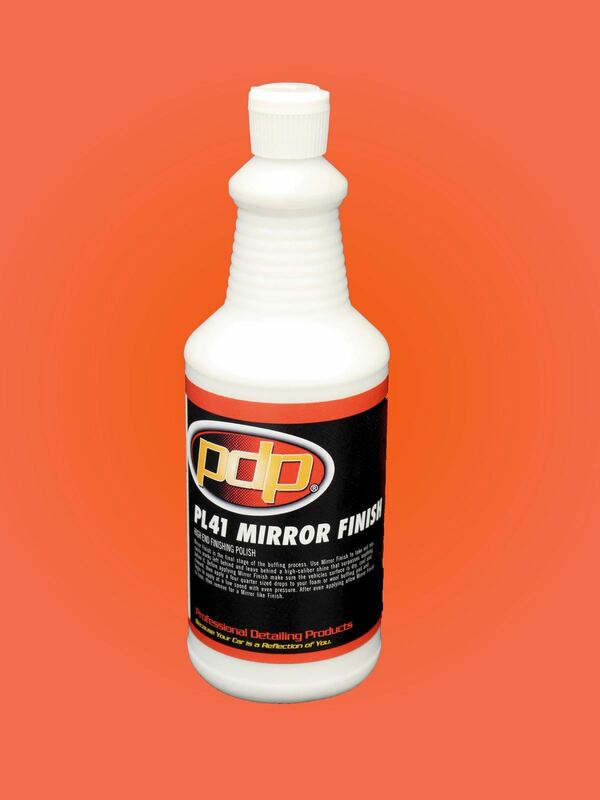 Mirror Finish is a great choice for dark colors - expect eye-popping results on black vehicles! For best results, use a Rupes polisher with white (fine or ultrafine) foam pad.